VOC Liberty Landing is a joint venture between the Veterans Outreach Center (VOC) and Conifer Realty, LLC. 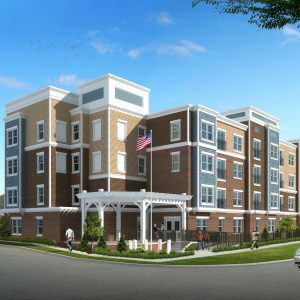 Located in Rochester, New York, VOC Liberty Landing will be an affordable housing community consisting of 33 apartments, with 10 apartments that will be set aside for Veterans with a disabling condition and the remaining 23 apartments will have primary preference for Veterans and secondary preference for families on a Public Housing waitlist. The property is located at 185 Scio Street. 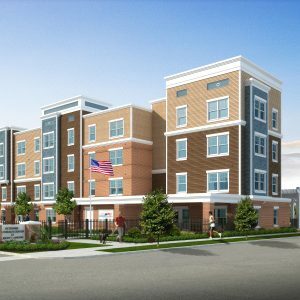 Each apartment home will include a full kitchen, living and dining area, full bath, generous bedrooms, and ample closet space. Each will feature energy star rated appliances, electric oven with range hood and plenty of cabinet space. The community will utilize energy efficient heating and cooling systems that meet Energy Star Program and Enterprise Green Requirements. 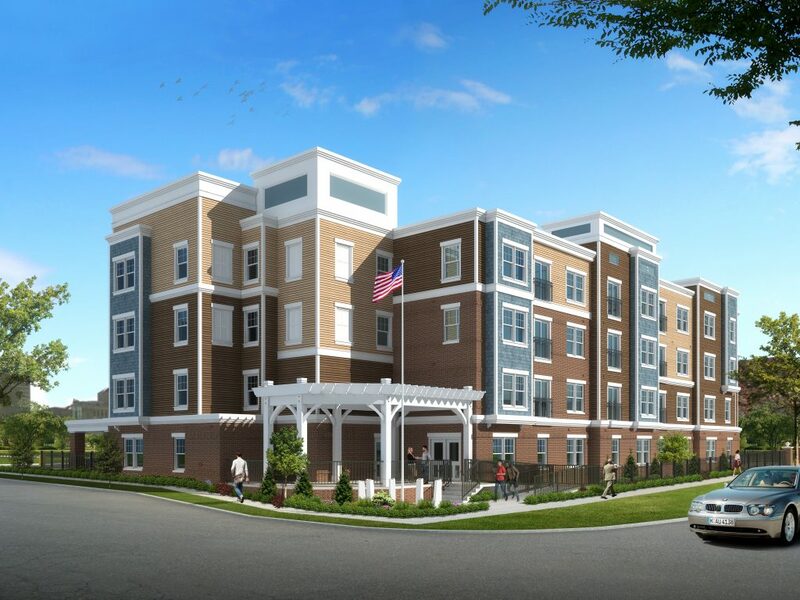 Residents will enjoy amenities including a smart card laundry center, fitness room, community room and a VOC Case Manager’s office to aide in providing supportive services to the residents. Liberty Landing is conveniently located in the heart of Downtown Rochester with proximity to transportation, employers, shopping, restaurants, and entertainment. VOC will provide on-site services including Primary Health Care Services, Job Training Programs and more. Conifer Realty is proud to partner with the VOC. VOC is America’s oldest, community-based organization dedicated solely to stabilizing and strengthening the lives of veterans. The most successful organization of 40 similar programs originally founded through the federal Veterans Outreach Program across the country, VOC opened in 1973 to help Vietnam Veterans cope with post-war civilian life as well as facilitate government benefits claims. Since then, there have been more than 200,000 visits from local veterans from every war, military branch, and peacetime unit. In 2017 alone more than 460 local military families were helped with housing searches and placements and temporary financial assistance. Projected occupancy will begin February 2020. 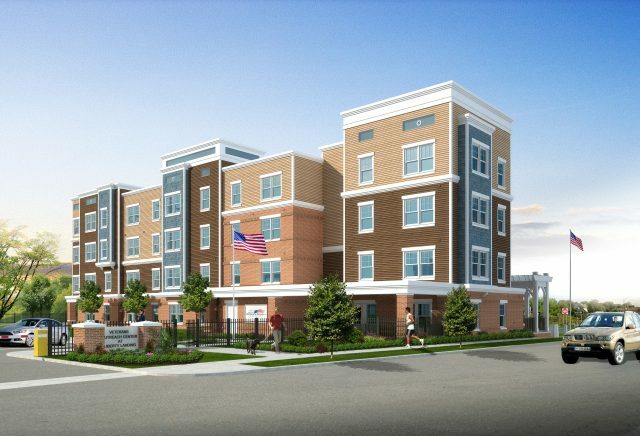 The first available apartment homes will be ready for occupancy in early 2020! Complete the online interest form to receive all of the detailed leasing information when it becomes available. Leasing will begin approximately 120 days prior to projected completion. This community is under construction. PLEASE DO NOT VISIT THE CONSTRUCTION SITE. NO LEASING ASSISTANCE IS AVAILABLE.